So this is the second week for my review on Clarisonic :) I had photoshoots many times for the past few days. Thank god, Alhamdulillah I have Clarisonic. Makeup can make your skin oily. You really need to cleanse your face properly after wearing heavy makeups. Do you know that there are only two simple steps solution for enlarged pores and oily skin using Clarisonic? 1. The first step: Cleanse and Refine. 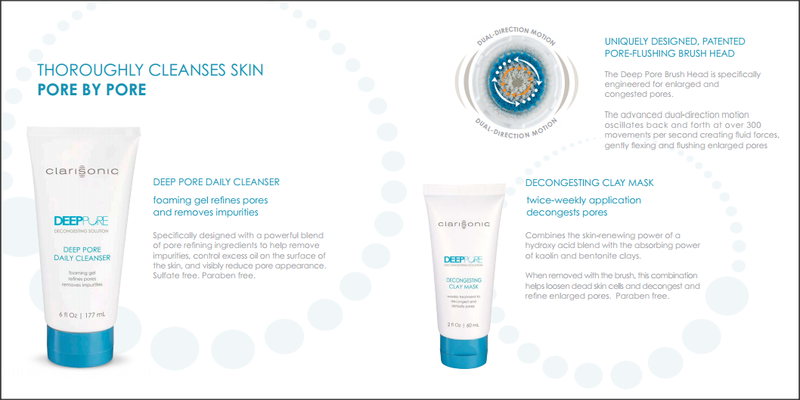 Cleanse skin once to twice daily with the powerful combination of the Deep Pore Brush Head and Deep Pore Daily Cleanser. Sonic fluid forces, combined with the cleanser, penetrate deep into the pore to remove set-in debris. Apply the Decongesting Clay Mask twice weekly to clean skin. Leave on for 10-15 minutes, and gently remove with the Deep Pore Brush Head. Skin is left feeling fresh, clean, and thoroughly decongested. 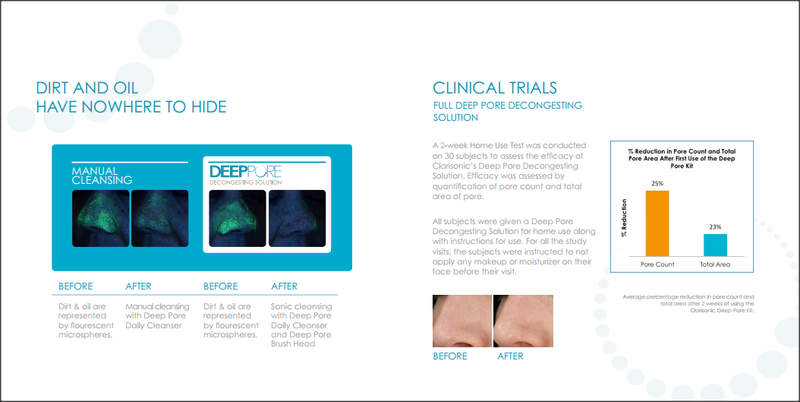 It is proven that 25% reduced pore appearance after one use thoroughly cleanses using the deep pore brush head. The Deep Pore Brush Head is specifically engineered for enlarged and congested pores.